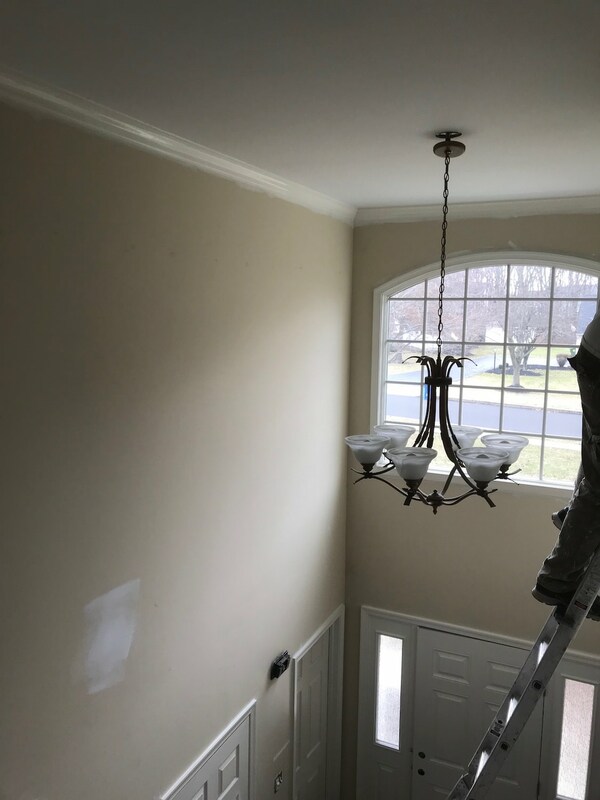 While 2018’s color of the year might be Greige, we always appreciate a break from the norm and an opportunity to paint in stunningly original colors. 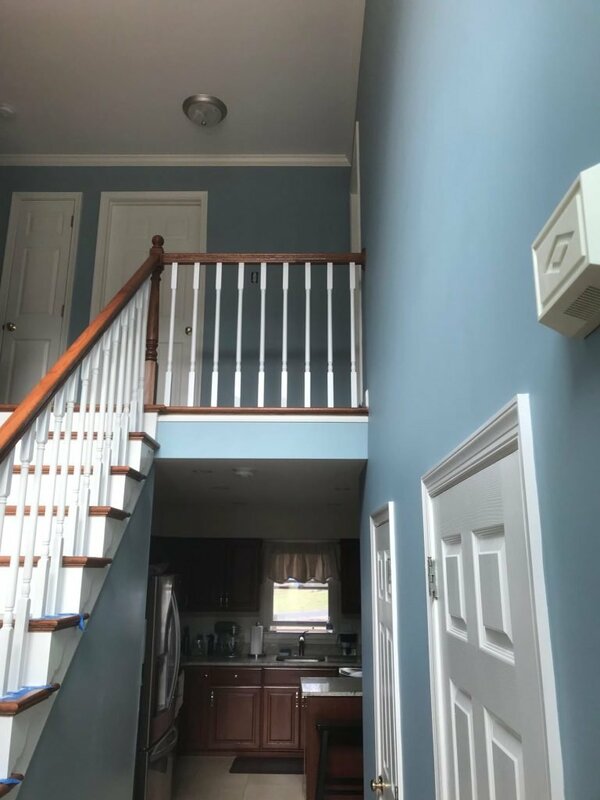 LaffCo. 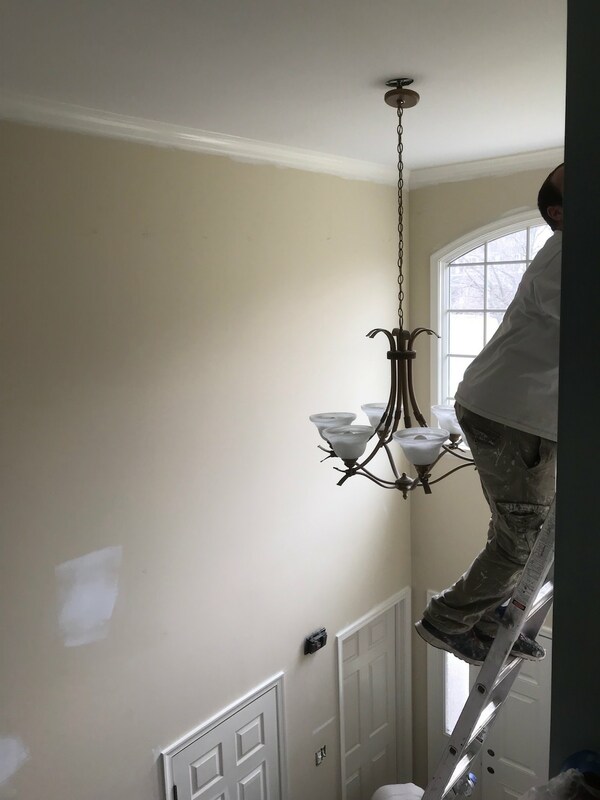 Painting visited a client’s home in Lansdale. 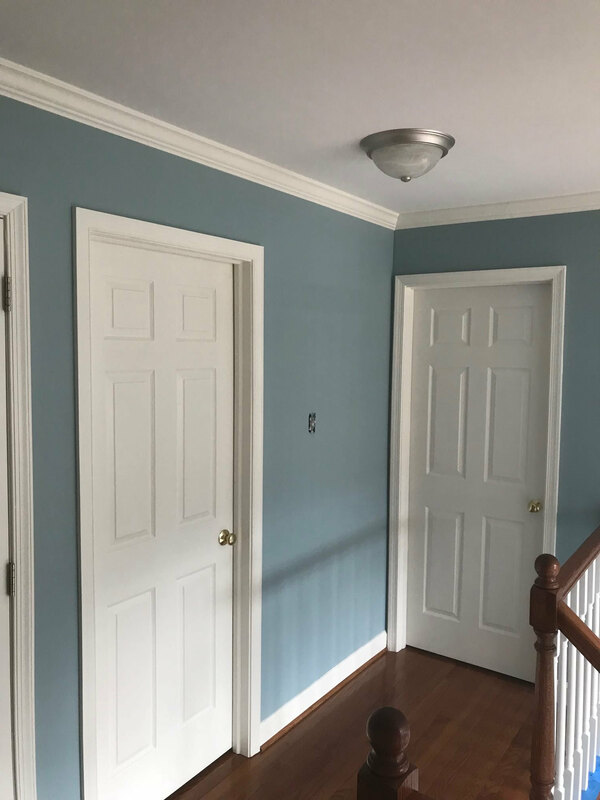 The homeowners were tired of the beige paint in their foyer, which made for a less than stunning first impression when guests entered their home. 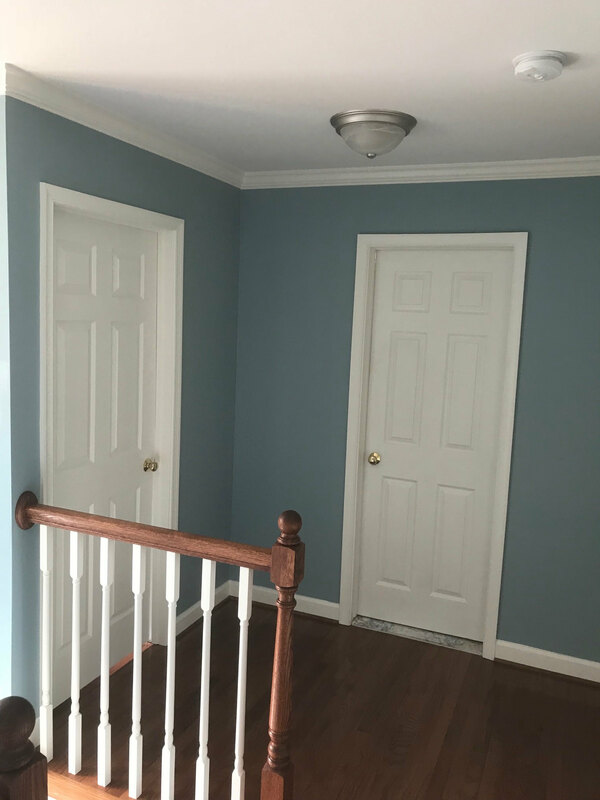 They wanted a fresh new look that would make a statement while still blending seamlessly with the look of the rest of their home. 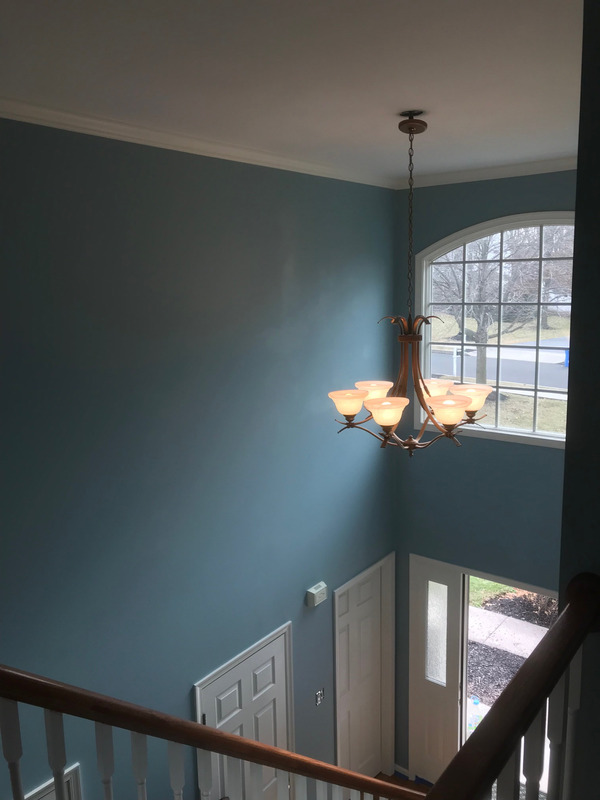 We discussed the options with the clients, and ultimately chose a beautiful blue hue called Aqua Sphere by Sherwin Williams. We love working with Sherwin Williams’ Emerald Matte paints, and our go-to product definitely did not disappoint for this project. 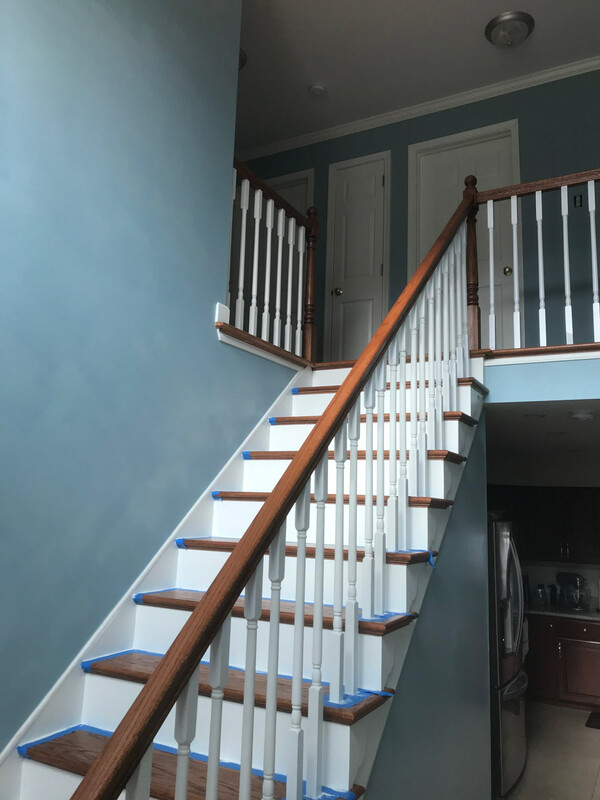 We also repainted the ceiling in Extra White, and gave the trim, stairway spindles, and step faces a softer look with Dover White paint. 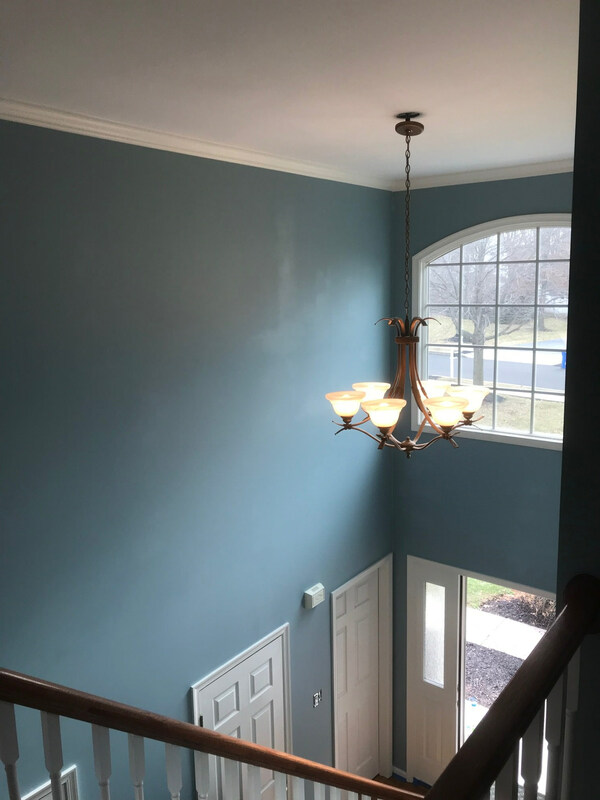 The colors look great together, creating soothing entrance to this gorgeous Lansdale home. 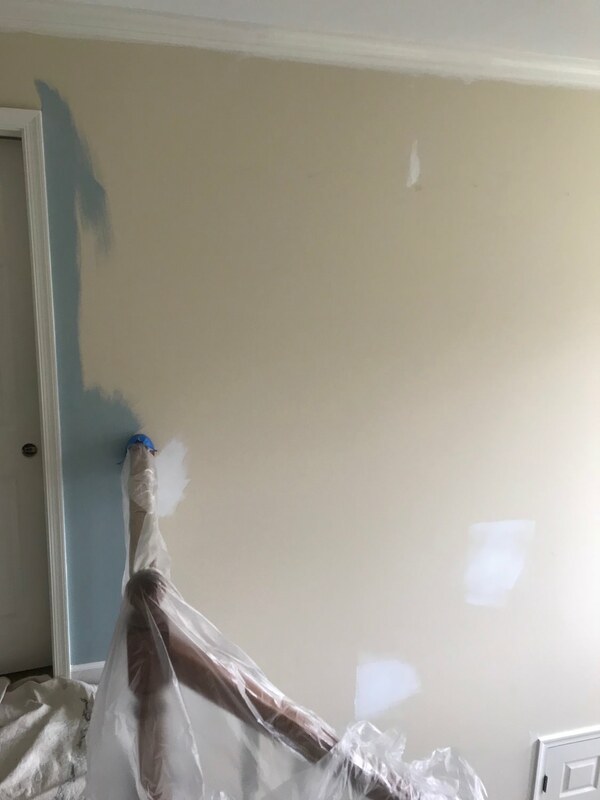 It feels so good to break from the norm every once in a while. We really enjoy working with unique color palettes, and would love to sit down with you and discuss the perfect color scheme for your home!